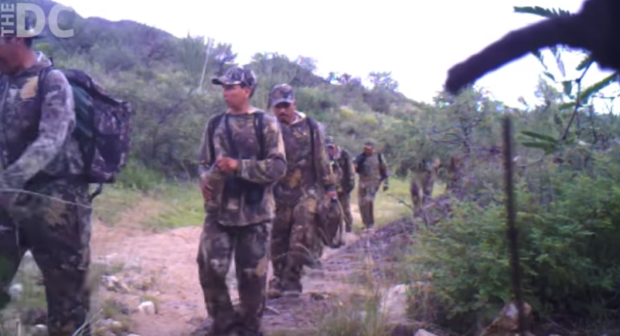 Video footage from a ranch in Arizona shows thousands of illegal aliens marching into the United States uninterrupted because there is no border wall, nor border patrol, to stop them. Jim Chilton, 79, owns a 50,000-acre ranch situated on the U.S.-Mexico border, which has become a hotspot for illegals crossing into the country. Security camera footage from as recently as 2018 shows individuals in camouflage toting large backpacks and in some cases what appears to be military-style assault rifles walking through his ranch into the States incident free. They even attach the military-style assault rifles to horses. Although he respects the Border Patrol agents in the region, [Chilton] said, he doesn’t understand why they won’t fortify and build a substantial border fence along the Arivaca region, including the five miles of international boundary alongside his ranch. It’s inhumane, he said, to allow border crossers to walk in easily through the border, putting their lives at risk from cold nights and hot days. Many are apprehended farther inland anyway. 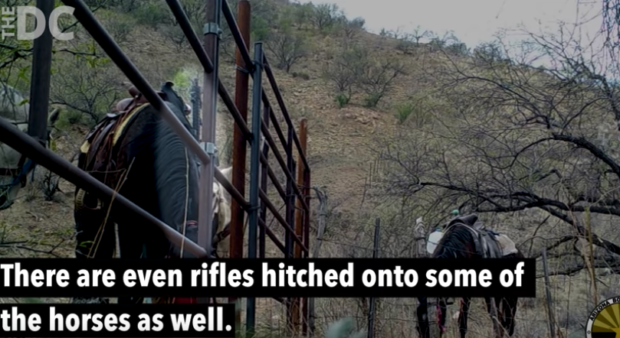 Among the individuals that casually cross the border are drug cartels, mules and human smugglers known as “coyotes.” The ranch owner says he has noticed a recent uptick in the number of individuals using his ranch to enter the country.